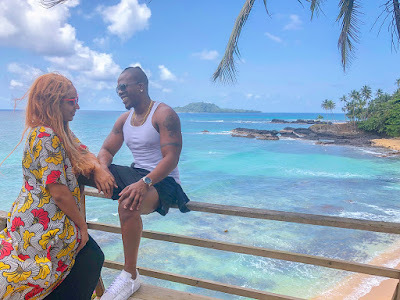 Ghanaian actress, Juliet Ibrahim and her Nigerian boyfriend, Iceberg Slim are having a good time together! The ‘lovebirds’ are currently enjoying themselves at the São Tomé island. Joining the fun are, Nadia Ibrahim, Sonia Ibrahim and their partners. Juliet Ibrahim turned a year older on Sunday, March 3, 2018, and the celebrations seem not to end anytime soon.